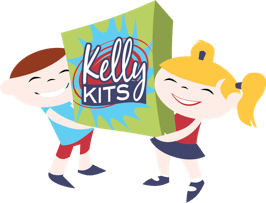 Bree’s Birthday Bash Sponsor Spotlight- Kelly’s Kits!! Bree’s Birthday Bash officially launched July 30th and we have had a blast with Bree as we are celebrating her 8th year!! She is loving all the fabulous prizes she has gotten for her birthday and she is so excited to share them with you all!! The giveaway event begins August 15th- so be sure to check back- the prize package is AMAZING!! Kelly Kits are an amazing idea created by Kelly Hanson, a single mom of two, when she was searching for a unique present for a friend’s child. She realized that most families don’t have the time, money, or room to have a fully stocked art studio in their homes, so providing them with an art project as easy to use as a box of macaroni and cheese (and affordable too) would be a great benefit. And Kelly Kits were born!! Kelly Kits provided us with a month long subscription to their service and we were so excited to receive in the mail a cute little cardboard container full of art supplies with the title of Printmaking!! In this little container we found both white and colored pieces of paper, a package of dehydrated sponges, a small plastic cup, a pair of tiny scissors, a small pencil, a popsicle stick, and a small bag of dry yellow paint. There was also a sweet little postcard with directions on the back. One look at these goodies and my little crafty girl was off and running. She spend a long time that day making masterpieces with her little sponges and we even had a few extra colors of paint around the house so her pieces were extremely colorful!! Kelly Kits are an adorable way to add crafting and fun into your little ones life. And they are great for keeping little ones busy during a busy homeschooling day as well. 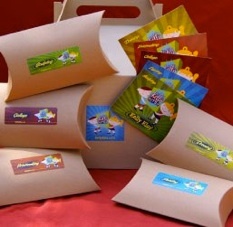 Sensory Gift Packs– $29.99 contain 5 art play activities for two children with sensory challenges (products are also gluten free). The video below shows creator, Kelly Hanson sharing the concept behind Kelly Kits. Stay tuned- Kelly Kits has donated a great prize that will be a part of our Bree’s Birthday Bash Giveaway beginning August 15th!! You can go enter a bonus giveaway for an annual subscription to Kelly Kits here!! Disclaimer- I received no compensation for this post. We were given one month subscription to Kelly Kits at no charge to assist in this review. The opinions in this post are my honest thoughts on these products and were not influenced by any outside source.